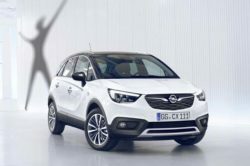 Not that long ago Opel announced two brand new vehicles that will join their roster. 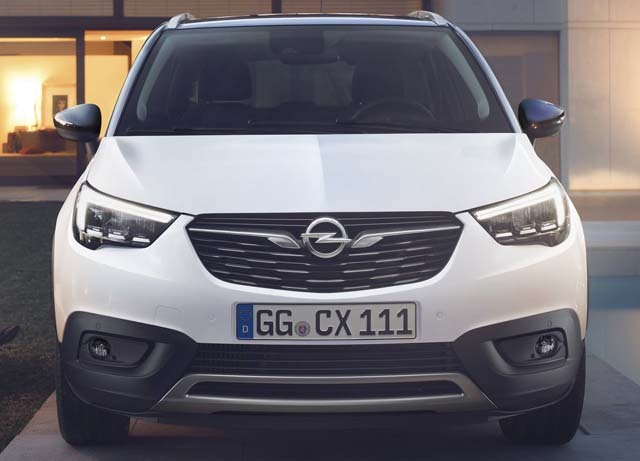 The first is a medium-sized crossover called the Grandland X. The second is a compact crossover called the 2018 Opel Crossland X. 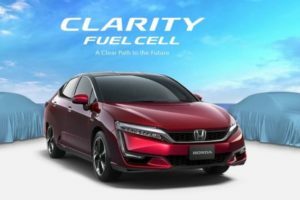 So far they announced that the latter is going to be the first to hit the market. The car will be actually positioned lower than the Astra meaning that it will also cost less. 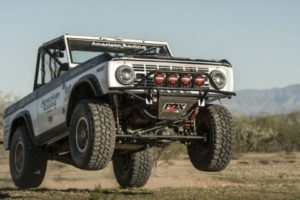 While it will be sold as a crossover, it won’t have much in common with one. 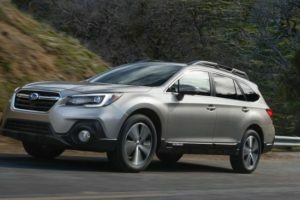 The sole reason for it being sold as a crossover is the state of the current World market. There is no denial about the fact people like crossovers more than regular cars so companies have to comply. 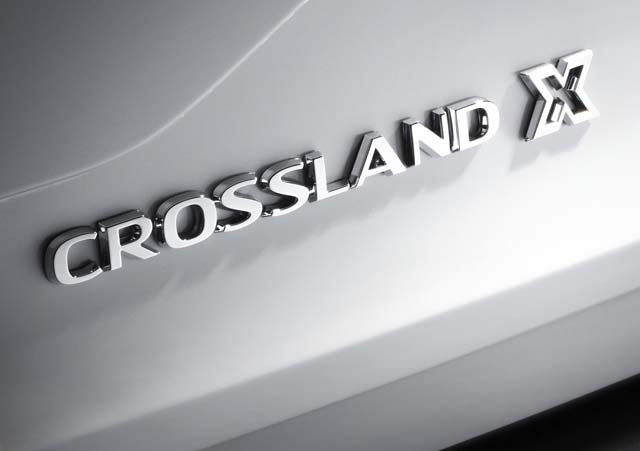 The new Crossland X is actually based on the PSA EMP1 platform. This is a rather interesting turn of events, especially since Opel didn’t have that much in common with Citroen so far. This move should allow the two companies to basically split in half research and development costs. 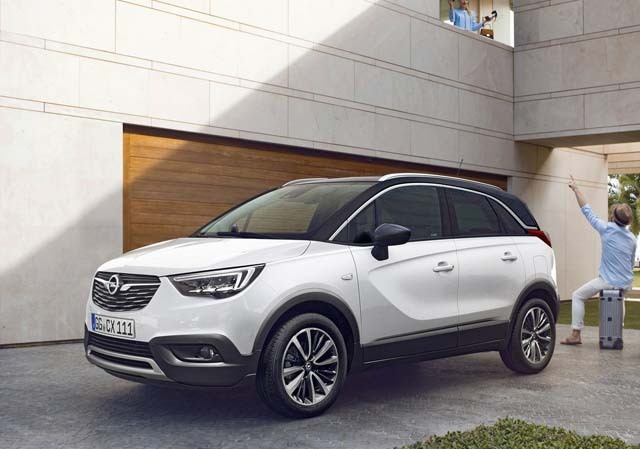 Despite the Crossland X and the future C3 Picasso sharing the same platform, and factory, Opel’s CEO said that the two will be very different. We expect the Crossland to be quite impressive despite all of that. 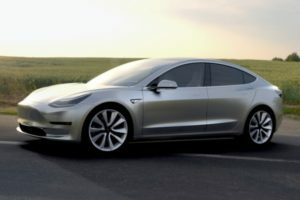 The car has been already previewed and so far it is very interesting. The price is unknown but we expect a starting point of less than €15,000 which is also where its competitors are. The release date is unknown but we should see a production model by the end of the year. 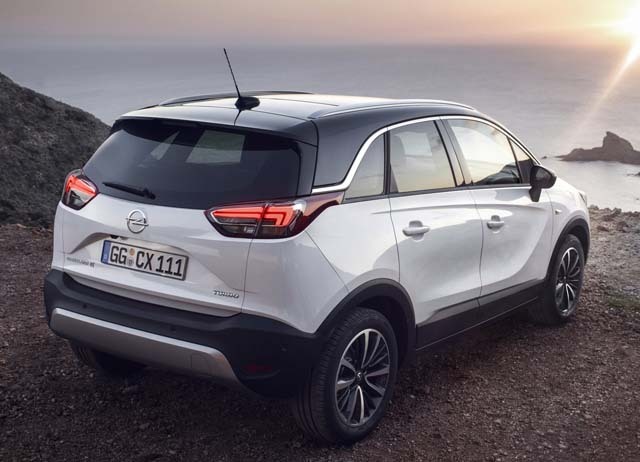 Despite being 14 centimeters shorter than the Astra, the 2018 Opel Crossland X is 10 centimeters taller and just as wide. The end result is that it offers more room than its larger sibling. Both the front and rear passengers benefit from sliding seats, which is quite impressive, especially in this class. 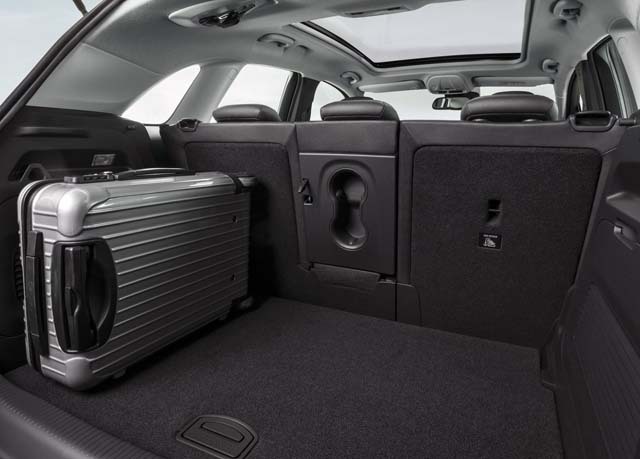 The trunk is very large for this class with a minimum load capacity of little over 400 liters. The rear seat-bench will fold 60/40 so it should have no problem at accommodating longer items. The design of the interior is also quite fresh. The dashboard features plenty of curves and everything seems to be quite easy to use. The only problems we see so far would be the materials but Opel might surprise us with this one. 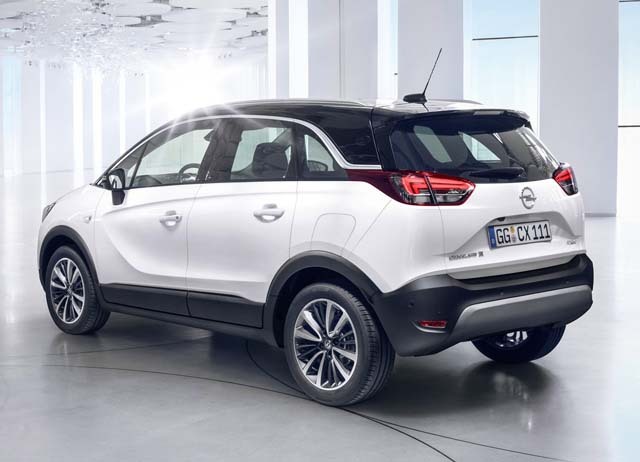 Even though it is based on a Citroen, the 2018 Opel Crossland X couldn’t be more different. 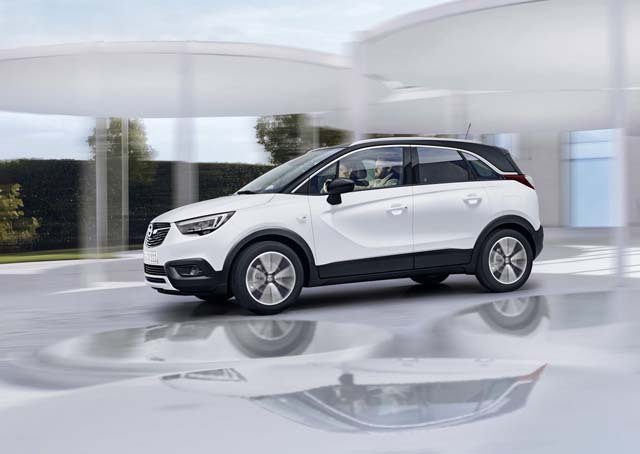 The car has a lot more in common with the Adam and Mokka than anything else. 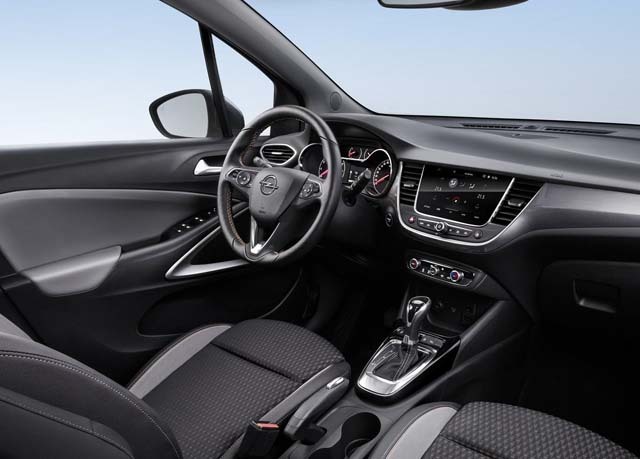 The front is just as bulky and impressive as that on the Mokka. However, the black accents, blacked out D-pillar or the curved tail lights make us think about the tiny Adam. 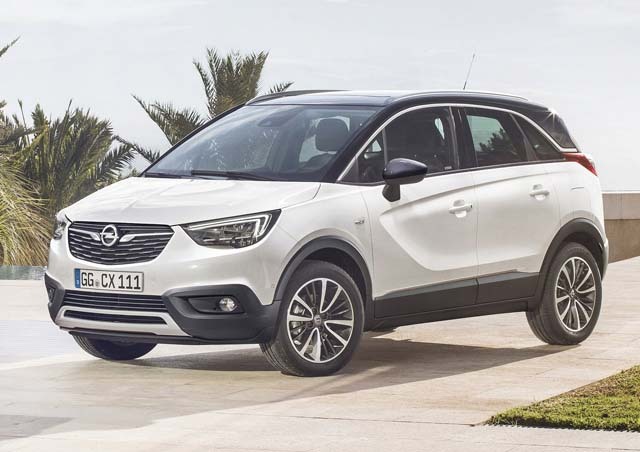 Considering the model they previewed, we wouldn’t be surprised if Opel decided to make the Crossland X just as customizable as the smaller Adam. Unfortunately Opel hasn’t announced what engines will power the Crossland. They did say though that the car will only be available with front wheel drive. 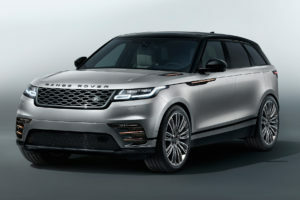 This has been expected considering none of its rivals offers all wheel drive. 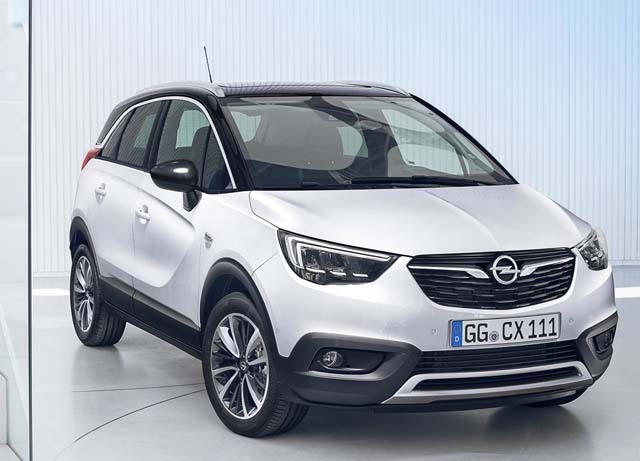 We expect the base engine to be Opel’s 1 liter turbocharged inline 3 with its 90 or 115 horsepower. Further up the range, a 1.4 liter turbo-four with 100 horsepower and 148 lb-ft of torque should also be available. 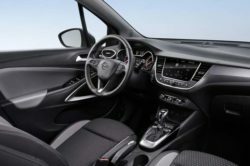 It still is unclear if the 1.3 liter CDTI engine will be carried over, especially since it will boast a new platform. Some suggested that PSA’s 1.4 liter turbocharged diesel might be an option. 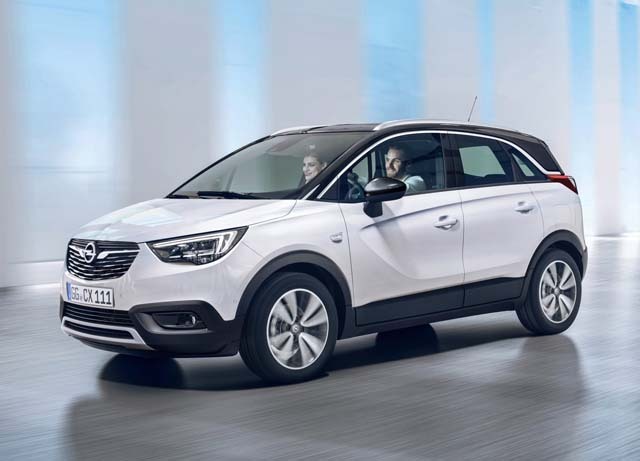 However, we find Opel’s 1.3 liter diesel to be the superior powerplant, so let’s hope things won’t change here.